A global IT sales, marketing, business development and operations executive with over 28 year experience. Today Penny is Group Vice President, Worldwide Alliances and Channels at Oracle Corporation. She leads a worldwide team of approximately 450 staff located across all global regions and is responsible for Oracle's award winning Partner Programs, business development all Alliances and Channels global operations to support Oracle's Partner Strategy and its 22,000+ partners. Penny started in Oracle UK 23 years ago to develop and implement the UK VAD Strategy. She then went on to roll this out across EMEA (Europe, Middle East & Africa), while also taking on additional responsibilities including partner marketing, events, communications, partner enablement, partner operations, business practices, the Partner Business Center and set up the EMEA ISV sales team. 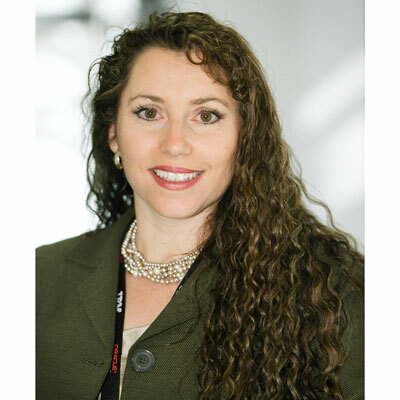 In 2009 she joined the Global team where she developed and launched Oracle PartnerNetwork (OPN) Specialized, led the consolidation of the worldwide Partner Business Center and the OPN related Operations team, plus set up the ISV inside sales team globally. Before Oracle, Penny held sales management roles in several blue-chip IT companies. She has also been voted one of the top 100 women in the channel for the last nine years. Michelle Obama. Intelligence, poise, grace, integrity and passion come through in what ever she does. Despite all that is thrown at her. Confidence shines through. Don't be afraid to take risks, Utilize your strengths and of those around you.